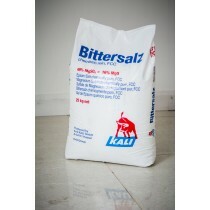 PPEC is proud to offer magnesium sulphate powder at best online prices. 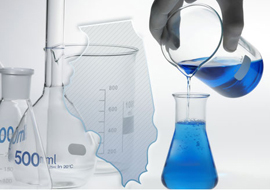 At PPEC LTD, we provide great discount on bulk and wholesaler magnesium sulphate orders. Named for a bitter saline spring at Epsom in Surrey, England, is not actually salt but a naturally occurring pure mineral compound of magnesium and sulphate. Long known as a natural remedy for a number of ailments, it has numerous health benefits as well as many beauty, household and gardening-related uses. Soaking: Add two cups of Epsom salts to warm water in a standard-sized bathtub. Double the Epsom Salt for an oversized garden tub, eases the muscle pain and fading bruises. Bath three times a week, soaks for at least 12 minutes. Foot bath: Add a cup of Epsom Salt to a tub of warm water as a popular balm for aching feet. Improves the body's ability to use insulin, reducing the incidence or severity of diabetes. Flushes toxins and heavy metals from the cells, easing muscle pain and helping the body to eliminate harmful substances. Improves nerve function by regulating electrolytes. Also, calcium is the main conductor for electrical current in the body, and magnesium is necessary to maintain proper calcium levels in the blood. Relieves stress. Excess adrenaline and stress are believed to drain magnesium, a natural stress reliever, from the body. Magnesium is necessary for the body to bind adequate amounts of serotonin, a mood-elevating chemical within the brain that creates a feeling of well being and relaxation. While increasing your magnesium levels, It also delivers Sulphates, which are extremely difficult to get through food but which readily absorb through the skin. Medical research indicates Sulphates are needed for the formation of brain tissue, joint proteins and the muscle proteins that line the walls of the digestive tract. Sulphates also stimulate the pancreas to generate digestive enzymes and help to detoxify the body's residue of medicines and environmental contaminants.